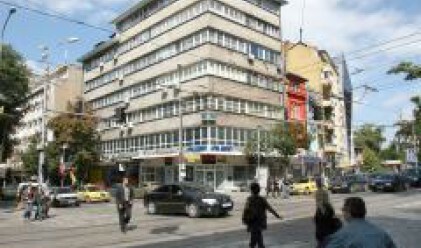 32.5% of Bulgarians think the country has benefited from its accession to the EU, a survey conducted May 20-26 by the Sociology Institute of the Bulgarian Academy of Science reveals. The results were made public today during a conference discussing the effects of the EU membership. The majority of those who said the EU accession has had a positive impact belong to the following categories: between 18 – 30 years of age, college or university graduates, students, occupying senior positions both in the private or the public sector, living in Sofia, not experiencing financial hardships. 34.2% of respondents said the EU membership had no impact. This answer has been given mainly by respondents older than 60 years, out of job, 58.6% of those have said they are experiencing extreme financial difficulties. Bulgarians today are mostly concerned about the levels of corruption and crime, the survey also found. People with lower income or those out of job mentioned the state of the national economy as their number one concern. Less people this year point out unemployment rates as a problem, which is a good sign, according to experts. 9.7% of respondents think the living standard in the country has improved, while 37.9% said there was no change and 49.8% said it deteriorated. Asked to name the most important areas of priority for Bulgaria's future development, 89.8% of respondents said it should be improvement of the living standard. Other answers include: maintaining high levels of economic growth (60.5%), law enforcement (58.5%), infrastructural construction and improvement (27.8%), environmental sustainability (20.2%) and regulation of migration processes (18.9%). The Sociology Institute said the conclusion that can be drawn based on the results is that changes are happening slowly.